A pilot turns his hobby into business. Mark Lowen has really brought airline to his home by installing a fully professional Boeing 737 flight simulator in his garage. 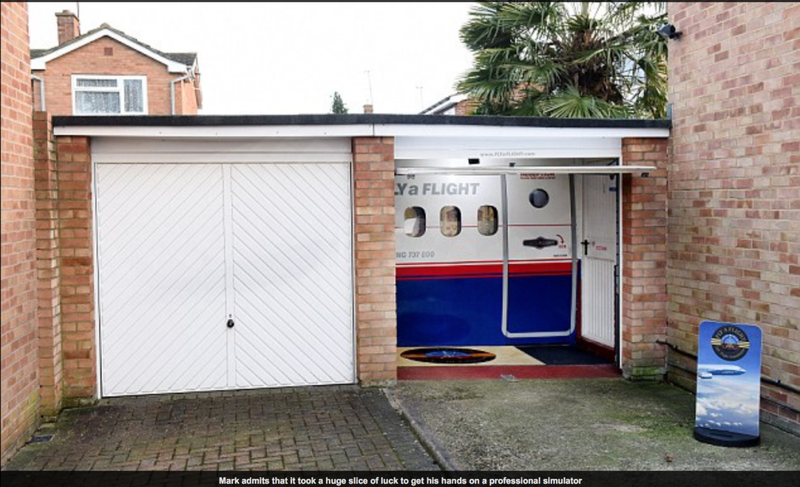 He can fly anywhere in the world from the comfort of the garage of his home in Leighton Buzzard, Bedfordshire, UK. 53-year-old claims buying the simulator was the best thing he has ever done despite complaints from his wife Wendy. He's even turned his hobby into a business charging learner pilots and thrill seekers to experience flying whatever route around the globe they wish. Mark admits that it took a huge slice of luck to get his hands on a professional simulator. The aircraft enthusiast, who has 20 years flying experience, became friends with the owner of a flight simulator company by chance, just as the company was looking to test new equipment. And before long, he had so many of his friends begging for a go at the controls he started his own company, fly a flight, to recoup some of the cost. Mark said: "I love all planes. I fly light aircraft myself. I always wanted to be a commercial airline pilot but I couldn't as they thought I had a heart problem. It was pure luck that I happened to meet someone who runs a flight simulator company. He was looking to test a prototype. He had actually been doing a similar thing to me, allowing people to use it as an experience, but he got too busy and so passed it on to me to keep on testing. After the testing had finished, he allowed me to keep it. I was incredibly lucky. The software for these things is incredibly expensive, more so than the hardware." The simulator is the same as those used by airlines to train their pilots to fly Boeing 737 planes. 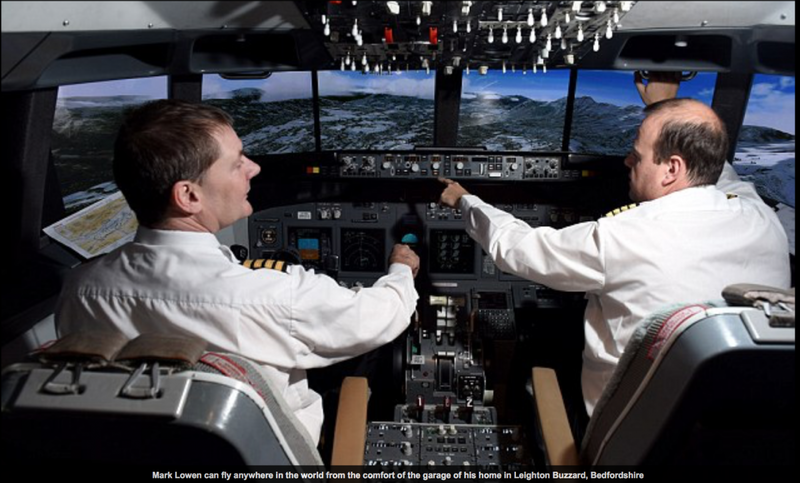 The cockpit is realistic and different scenarios can be programmed in to the simulator to allow users to take-off, fly and land in all weather, all over the world. Although he has never flown this type of aircraft himself, Mike used his connections to receive training from a 737 instructor. Using this knowledge and his own experience, he now gives people the chance to fly off on their holidays from the comfort of his garage. He said: 'I have made it my business and I absolutely love it.